The Ultimate Proofreader provides a full and comprehensive package of English proofreading and editing services geared towards helping academic students at both undergraduate and postgraduate levels throughout their academic journey. Our proofreading and editing services have been designed by academic experts and consultants in order to ensure we provide the right editorial assistance to students and academics across all disciplines. 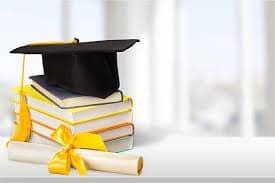 If you have just graduated and you are interested in further study for a Master’s degree or subsequently a doctoral or already engaged in a postgraduate study, you will need to write and submit many academic papers as part of your research. This written work ranges from research proposals, short essays on specific subjects, literature reviews, term papers, journals to your final dissertation or thesis which - if involved field research - will be more than 12,000 words. Our proofreading services can be of the greatest help here, not only by removing spelling, punctuation or grammatical errors but also by highlighting, and helping to fix, any flaws our language experts will spot in the way you have written your research paper. Our specialist editors and proofreaders will also correct any in-text citations or bibliography, according to whichever system of referencing you are required to use. When it comes to citation and referencing style, adherence to your university's guidelines is certainly of great importance and plays a significant part in the grades you will be awarded. We offer our proofreading and editing services to native English speakers and to those who have learnt English as a foreign language. As subject-matter academic proofreaders and editors, we understand the specific difficulties than non-native English students can encounter while drafting their university assignments. The first step towards your Master's or PhD degree will be to select at least one university which is offering a postgraduate course that interests you and for which you may apply. This will involve more written work, such as preparing/updating your CV and writing a cover letter. A cover letter, for example, should not be too long and should be concise and to the point. It should also highlight your strengths and interests so that you can win a place at your preferred university. Our bespoke dissertation proofreading services can help you to write an impressive cover letter and update your CV. It goes without saying that this is ultra-important, because if these documents you have to submit contain errors, your intended university may not be impressed. If you apply to a university for a postgraduate course, you are also likely to be sent a questionnaire. We can proofread your answers and help you to ensure that you are providing the information requested by the questionnaire in the most concise way. As soon as you commence on a postgraduate course, a massive amount of written work will be required. Whether this takes the form of a series of essays, term papers, reviews, summaries or a final thesis, our proofreading services can help you to ensure that you produce an academic document free of errors and written up to the standard required by your university. If your postgraduate course involves a major thesis for a PhD, we can also proofread this to perfect. It certainly is not a good idea to ‘cut corners’ when writing a thesis by assuming that an automatic spelling and grammar checker will recognise every error. We check all documents manually, which includes checking for consistency and any illogical arguments. We will draw your attention to any text which is unclear. The likelihood of your being awarded a PhD will increase if your argument is presented logically in clear academic English. 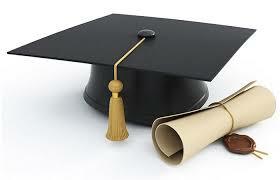 We will help you until you have successfully obtained your dream degree. If you are an ambitious student who is looking for an undergraduate course to join, you will understandably have many worries and concerns, key of which will be how best to prepare your application to increase its chances of being accepted by your preferred university. And if you are already enrolled on a course, you will likely be worried about how to complete your course or study successfully. As a specialist proofreading services provider, we assist undergraduate students from the moment they prepare and submit their application to the successful completion of their study. How do we help students who have not enrolled yet? 1. We will help you write your very first email or letter to the university in the best English language possible by proofreading, editing and improving your language, i.e removing any errors and enhancing its readability. 2. We will help you with carefully checking any written correspondence between you and the university to ensure your message is delivered in the most effective and clearest way. 3. We will ensure your application or personal statement – which is a vital part of the undergraduate programme application process – is written in an enthusiastic, concise and natural way that highlights your strengths, ambitions, skills and experience. 4. We will ensure that your entry application or personal statement is 100% free of any grammatical, punctuation or spelling errors which reflect badly on applicants, given the expectation that applicants should have an acceptable level of English. 5. We will ensure the length and format of your entry application or personal statement is in line with the course provider’s requirements. 6. We will proofread, edit and enhance any other written documents you are required to submit as part of your application. 7. We will check and revise, for language, any further written communication between you and your chosen university. How do we help students who have been offered a place? 1. We will proofread and edit any written communication between you and the university whether regarding your application for accommodation, visa or any other requirements. We ensure your language is precise, clear and understandable. 2. We will support you with bespoke proofreading services for all essays, term papers, literature reviews, final-year dissertation or any other academic research papers you are required to draft and submit as part of your undergraduate course or programme. Our proofreading services are graded so that you can pick and choose the most suitable for you. 3. If you need to cite from other sources of literature and are worried about the risk of plagiarism, we can also help you with our paraphrasing services which are performed by professional and academic writers. 4. We will be happy to answer any question you may have in relation to the use of language in academic writing. The path to becoming a university lecturer or professor involves (among other matters) a considerable amount of written work. After being appointed to one of these posts, there will be a further requirement to produce written work. A high standard of work is of course essential for potential and acting lecturers and professors; therefore, any grammatical or spelling errors or badly constructed sentences would be somewhat of an embarrassment. If you are aspiring to become a lecturer or professor, or you already occupy one of these posts, then you will find our proofreading services for lecturers and professors to be of considerable help. It may be that English is your first language, or maybe you have learnt English. In either case we can help you by proofreading your text, professionally and expertly. If you wish to apply for a position as a university lecturer, you will first be required to obtain, at the very least, a Master’s degree (unless you already hold one) and it is increasingly likely that you may be required to obtain a doctorate. This will of course involve conducting research and writing an extensive thesis. 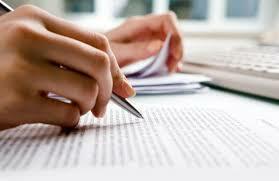 It is here that we can help you by proofreading or editing your thesis. It is essential that your thesis impresses the person who reads it. Having obtained a postgraduate qualification, you will wish to apply to a university for a lecturer’s position. We can also help you with this by proofreading your CV, cover letter or personal statement. One again, it is vital that your CV creates a positive impression by concisely highlighting your strengths and qualifications. Once you have been appointed as a lecturer, you will need to produce written work for your students and prepare and document lectures. 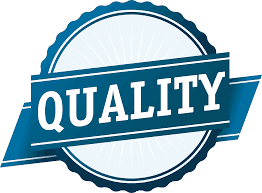 You will certainly want your lectures, reviews or any other academic paper to be of the highest quality, and we can help you here by getting your academic manuscript proofread and edited to perfection. If you wish to advance in your academic career and become a professor, you will again be required to produce more written work. This could include writing a thesis to obtain a PhD (if you have not already done so) and probably writing articles in journals after conducting further research. Such articles could ensure that you are ‘noticed’ which could give you an advantage when applying for a professor’s post. On becoming a professor, you may wish to advance further by publishing your work. As a UK-based proofreading service provider, we can help you with all these tasks to ensure that you produce professional and well-presented work. The volume of literature produced by universities and higher education providers – be it for educational, informational or promotional purposes - is ever increasing. And as they compete for excellence, higher education providers pay close attention to their written literature, whether content posted to a website or produced in print format. 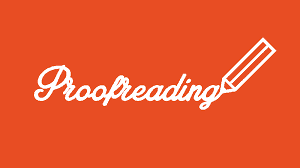 We, at the Ultimate Proofreader, provide colleges, universities and higher education institutes with academic proofreading and editing services of the highest quality. Whether you do not have a dedicated team of proofreaders and editors or have an assignment that your in-house team of editors and proofreaders may not be available to handle, we are here to help. As we value the importance attached to the literature and material produced for academic purposes, we pay extra attention to the minutest detail in every assignment we take on from universities or colleges. With our professional and specialist academic editing and proofreading services, you can have every confidence your text will be proofread and edited as per your requirements and expectations. If you have produced a prospectus for prospective students and you need someone with an eye for detail to go through it, our editors and proofreaders can certainly do that, not only by checking for grammar, punctuation and spelling but also by ensuring your prospectus answers the questions which prospective undergraduates may already have in mind. Our proofreaders and editors will not only mark and correct language errors but will also share some thoughts and ideas, whether related to details, gaps, or extra information needed in the text. We will look at your prospectus through the lens of a prospective student. Furthermore, as we have extensive experience of dealing with foreign students, we are fully aware of the expectations, preferences and interests of prospective international students whose first language may not be English. Universities and colleges produce a multitude of other literature, with which we can help. 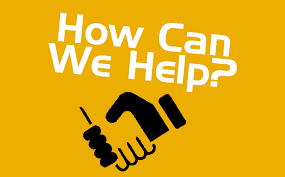 We can assist with proofreading and editing reports, reviews, leaflets, flyers, website content or social media posts. Want to try our services before you buy? We do offer a no-obligation free sample option. If you are reading this now, you are most probably someone who has gone onto Google to search for “dissertation proofreading services” or “thesis proofreading services”. You are also most probably a postgraduate and you finished university and are studying for a Master’s or PhD degree and want to get your drafted dissertation or thesis proofread and edited by a professional English proofreader or editor. No wonder if you are a non-native English speaker who is – understandably – more worried than native students that their academic piece of writing might not be up to scratch. Nearly over 90% of our clients who request dissertation proofreading or editing services are not native English speakers. It is a fact we understand quite well. 1- We will edit and proofread a sample of your dissertation beforehand in order to give you an opportunity to see if we are just making claims or are genuinely a top-quality provider of dissertation and thesis proofreading and editing services.